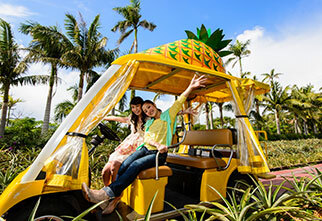 Okinawa's popular attraction that you won't want to miss!Whether you would like to wander in or hop on our automatic sightseeing cart, their expansive pineapple field and tropical garden are great places to see. 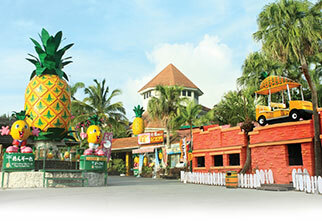 Nago Pineapple Park also offers a chance to try their various kinds of products made with fresh pineapples including wine, juices as well as desserts. New fee will be applied from April 1st, 2016. 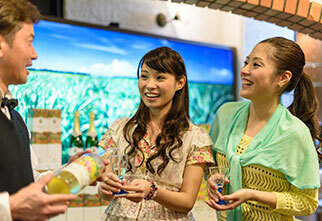 Free samples of sweets, wine and juices with use of pineapple will enhance your shopping. 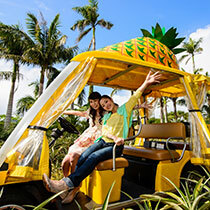 Our automatic sightseeing cart will guide you to the tropical pineapple field! 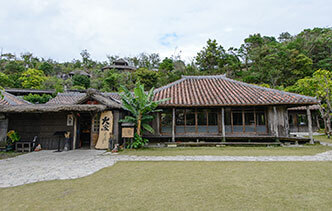 Authentic Okinawan cuisine restaurant located in Nago city.